We have been producing and directing films for 20 years now. Most of them were edited in-house. We also supplied voice-over, special effects, sound editing and upgrading. Our clients are often confronted to a difficult choice between cheaper “news” films and our slightly more expensive services. And as soon as creative services are involved, it is not always easy to understand why standard news-services seem less expensive than ours. Actually, they are not. The service itself is different. You see, news-clips producers aim at informing people on one or another subject. Therefore, they need pertinent images, clear talk, neat final quality. And that’s all. They supply TV-level quality. The name itself may sound impressive. Will your organisation get a “TV-level” service? Waow. That sounds huge, doesn’t it? Actually, it’s not. Unless of course you are a TV broadcaster. If you are a corporation, an association, a federation, TV-level is actually too “low” for you. Because unlike a broadcaster, you have an image and an identity to promote, on top of the informative quality of the film one may produce for you. This means that the image must not only be “nice”. It should be brilliant and systematically support your branding. The sound should not only do the job, it must be impressive (which means that you should not do any effort to listen to it, even on tablets and that the music should not be crappy — unfortunately original music is often too expensive). The introduction — if there is one — must defend your values through a well-conceived animation, for instance. 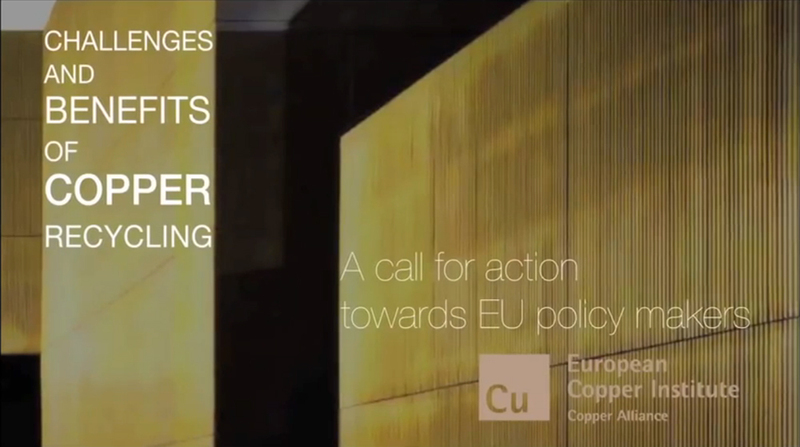 Look at the way we introduced our recent film on Copper Recycling : the title is displayed on a copper-covered building to “stick” to the subject and at the same time, to promote its very high quality. This animation was made in-house, of course. The same is true for the rest of the film : we did not simply film the interviewees, we upgraded the images to provide a quality similar or higher than what you can find in good TV documentaries. We also help our clients build their films to make them interesting. And we listen to what their audiences are waiting for. It is never just sending a crew to do the job and then edit the footage in our studio: we always go some steps further. Yes, we THINK. Look at the short report we made for EVA. It is just the opposite of a news report on an event that just shows people: the words and the special effects add value to reflect the magic of the gathering on that very special occasion: the 20th anniversary of the European Vending Association. A film can be a series of moving images. But that is not enough. What we offer you is a quality that reflects the quality of your corporate or institutional image. You have so many “competitors“ that you can’t afford to simply send out good quality films. You need more. And that is the only thing we THINK about when we work for you. A full-service example, including script, original music, an actor, voice-over ? Check the teaser we produced for IP52 !